While global warming cannot be stopped overnight, it can be reduced to a tolerable level. The goal is to limit the temperature increase to a maximum of 2° C. This means a reduction of about 80% in CO2 emissions by 2050. 80% is a lot less. The good news is that it is possible. The future of energy in Vorarlberg has been studied including the possibility of CO2 reduction and whether enough renewable energy can be provided. This would eventually lead to energy autonomy. Yes, that could be realised by 2050. This is possible even while keeping a very high standard in the quality of life. We do not have to go back to the Middle Ages. We only need to think more carefully about some things. Virtually all areas of our lives are affected. The important questions are: How do I live? What do I eat? How do I travel? Which products do I own and how much? The ”bad“ news: it is not easy, we have to make an effort. Since climate change is a result of our economic and social habits, confronting energy consumption also has a positive influence on many other issues. It would improve the situation of starvation in the world, support peacekeeping through fewer wars due to important resources, encourage fair distribution and promote biodiversity. While many of these effects are the result of the same or similar causes, it does not make sense to say that one is important and not the other. You'd like to know how to benefit from transferable methods and outcomes of Just try it in your own activities? Please contact Projectmanager Karin Feurstein at info [at] justtryit.life or via phone +43 5572 31 202-54. 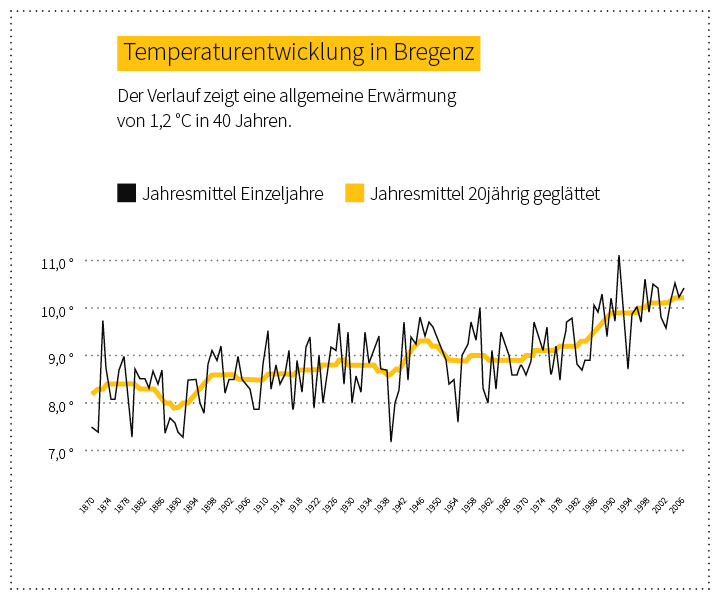 An initiative of Energieinstitut Vorarlberg in collaboration with ALLMENDA, the Austrian Ecology Institute and the University of Applied Sciences Vorarlberg.